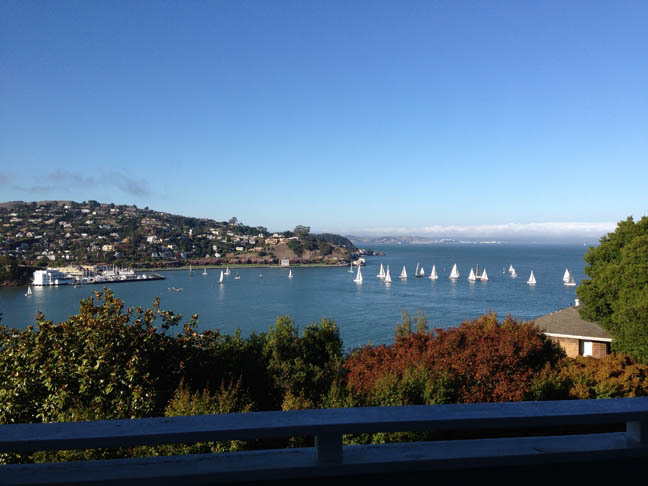 A meditation on stories—their power, beauty & personal danger. The Faraway Nearby by Rebecca Solnit. Viking, 259 pp. For that odyssey my mother would not let me take any of the decent suitcases in her attic but gave me a huge broken one in which my few clothes and books rumbled like dice in a cup. My father gave me a broken travel clock that he said was worth repairing and I kept it for years before I found that it was not. A classical & experimental fusion. We are all heroes of our own stories, and one of the arts of perspective is to see yourself small on the stage of another’s story, to see the vast expanse of the world that is not about you, and to see your power, to make your life, to make others, or break them, to tell stories rather than be told by them. . . . The self is also a creation, the principal work of your life, the crafting of which makes everyone an artist. This unfinished work of becoming ends only when you do, if then, and the consequences live on. We make ourselves and in so doing are the gods of the small universe of self and the large world of repercussions. Always helpless before her mother’s rageful story, Solnit at last seized the means of production: she dried those apricots, froze and canned them, and distilled them into liqueur. Provoked by them, she spun this book of many threads, storytelling about storytelling. The apricots prompted her return to reading fairy tales, full as they are of “overwhelming piles and heaps that need to be contended with . . .” They’re a riddle The Faraway Nearby seeks to solve. To dig deeper into the self, to go underground, is sometimes necessary, but so is the other route of getting out of yourself, into the larger world, into the openness in which you need not clutch your story and your troubles so tightly to your chest. Being able to travel both ways matters, and sometimes the way back into the heart of the question begins by going outward and beyond. The table of contents itself, in its content and shape, telegraphs and embodies the book’s recursive structure, a moving out and a return. Six chapters move out—Apricots, Mirrors, Ice, Flight, Breath, Wound—and in the center, like the tangled passages in her mother’s diseased brain, Knot; six mirroring chapters move back: Unwound, Breath, Flight, Ice, Mirrors, Apricots. 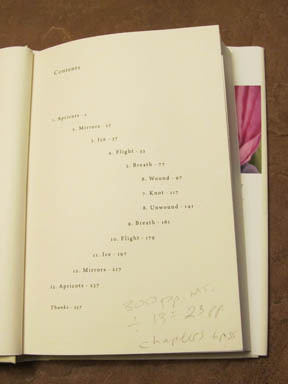 The table of contents resemble a flight of birds. The Faraway Nearby, a book for serious readers and for writers, is hard to categorize. 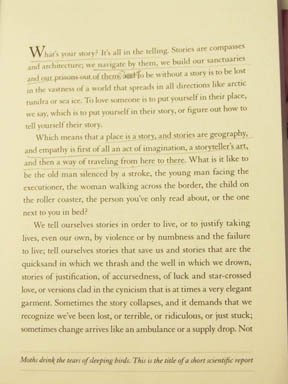 For the British edition, Solnit got her publisher to put Memoir / anti-Memoir on the back cover. At my local Barnes & Noble, I was surprised it wasn’t featured prominently—or at all—on the New Nonfiction table. An employee led me upstairs to some out-of-the-way shelves labeled Essays. Well, yes and no. 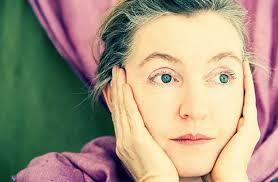 Solnit has, however, fashioned a narrative from her life and her ideas and her travels. But not in a clearly event-driven way; most connective tissue is implied. Try it yourself and it can feel like you’re cobbling together a bunch of nothing. Her skill and her confidence make it cohere. Still, you wonder how she did it. She’s said she’s a collector of stray bits, her method bricolage. Using that clue illuminates her apparent working method: there’s been a patient melding, with verbal transitions for topic shifts. Though her method is collage-like, with disparate subjects juxtaposed, the white space one would expect is rare. This makes for more demanding reading—less warning of new topics and less time for a reader’s preparation. You’re immersed a new story before you know it. An unusual aspect of this unusual book is that there’s a separate story that’s printed along the bottom of each page. Just one line at a time, a short sentence or partial sentence, it runs like a ticker tape below the main narrative. I gave up trying to read it as I went. It is phrased as if meant to be read after the main book, so I did—it takes about five minutes—and it begins with the scientific discovery that certain moths feed on the tears of sleeping birds. From this “sorrow turned into sustenance” Solnit spins mythic gold, a concise key to the book with its own resonant kick. We’re feeding, metaphorically, on her tears. Some of the urgency to be justified in my existence and to survive has fallen away, though the story remains, a hard pit after the emotion has gone. As the book continues there’s much talk of reading, along with welcome stray reminders of those apricots, and references to Solnit’s relationships. Once she meets an old woman who knew Che Guevara, and Solnit tells us how Che reinvented himself, and of his kindness to lepers—and about leprosy, which she found useful for thinking about everything else, especially her numb mother. Thus, though Solnit says she’s left that story behind, we grasp how her experiences color what she sees and feels. As a young woman, Solnit learned to say yes to physical adventure, another way to be unlike her mother. So The Faraway Nearby ranges. From her home in San Francisco, Solnit says yes to a trip to Iceland. She’s weak and shaky, recovering from surgery for her own breast tumor. We hear of her Iceland trip early on, at the end of the second chapter and expect to learn of her journey in the next chapter, Ice, but instead we learn about Mary Shelly’s Frankenstein, which is saturated by emblems of ice and cold, partly set at the North Pole, and from which Solnit appears to have taken the Russian-doll structure of her own book. We don’t learn about her journey to Iceland for some time, and then—like her cancer—it is mulled more than depicted. It’s as if we’re privy to her inner experience of making meaning, though you can feel unmoored in her meditative world. Yet implicitly this book about reading and stories and empathy offers, between the lines, a critique of storytelling technique. She writes about Buddhism, which she apparently practices. Solnit notes that the story of Buddha, the cosseted prince who sought out suffering, is “a fairy tale run backward.” Buddhism of course emphasizes non-attachment to outcomes and the need to let go of your story and live in the present. To be without a story is to be lost, she says, but your story also can be your prison. Mostly we tell the story of our lives, or mostly we’re taught to tell it, as a quest to avoid suffering, though if your goal is a search for meaning, honor, experience, the same events may be victories or necessary steps. Then the personal matters; it’s home; but you can travel in and out of it, rather than being marooned there. . . . Stories like yours and worse than yours are all around, and your suffering won’t mark you out as special, though your response to it might. How to tell your story? Whether to tell your story? What’s really your story? Is it what happened or, as in Solnit’s example, more the psyche and the events and the other stories—the life—it spawned? Though in her book’s long middle you could forget, reading so hungrily and finding yourself jumping from story to story, she announced her topic in her first two sentences: “What’s your story? 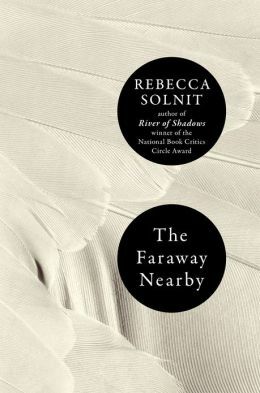 It’s all in the telling.” Solnit’s story, and her form of telling—by exploring the many stories that animate her life, the life which began in another story—often make The Faraway Nearby absorbing and thrilling. I can tell by your remarks on this book that it really touched you, Richard, and that it filled a place on your mental “shelf,” and I can’t help but wonder how Solnit condensed so much lived experience into one memoir. It sounds as if it’s a whole life, almost, written by someone else, when in fact it’s an incomplete story, since she is still alive. If only we could write memoirs after we were dead! It’s just not the same to have someone else write a biography of us after we’re dead, is it? Yep, the one thing we know about a memoir is that the author survived, at least long enough to write it! This is a hard book to review, to give a sense of it, but it did affect me. Very powerful topic and handling! I’m going to read the book, for sure (I was quite immersed in her “Wanderlust” for some months, a few of years ago). Thank you for this thought-provoking and illuminating review. I’m curious, how long did it take you to write this? It’s coherent, insightful and polished. Not the sort of thing I’m used to finding on a blog. PS, I like this so well I shared it on my facebook wall. Tracy, Richard’s blog stands in a class by itself. His reviews are as art-ful as any book. I agree–and I thought this one was especially stellar. That’s an interesting question, Tracy. I wrote the first draft over a couple days but shared it with a friend who had read the book and was rereading it, and she asked a bunch of questions and make a few points that made me realize how bad my draft was. So while on this trip I’m on I’ve fiddled with it a couple times. But it’s a hard book to review, and I don’t feel like my review quite got it. I just gave up. I told my wife when I uploaded it, “Another dignified failure.” So I appreciate your feeling intrigued by it! Interesting, how what we were trying to achieve or communicate might be a “failure” in our own eyes; and yet be stimulating and exciting to a reader. Proof that we cannot accurately assess what our work might mean to others (although we can know what it means to us, and that has value, too). I appreciate that, Tracy. This book hit me so strongly and unusually, I guess because it addressed questions I’d had all summer as I wrote some essays. And regarding your earlier question about drafting, maybe the difference with this post is that I did struggle more than I expected to, re-read passages, and in fact am halfway through a second reading. The book fascinated me because it’s like Solnit found something hiding in plain sight about the stories we carry and the ones we choose to tell. I agree. Richard, this is a wonderful review/reflection on The Faraway Nearby. When I write about a book, I often want to touch on everything that touched me, and so often for so many reasons, that’s just not possible. If I didn’t already have this book waiting, I would order it. Did you read A Field Guide to Getting Lost? Oh my gosh, I loved that book. Thanks, Cindy! I have A Field Guide but haven’t read it. Now I will. I just read Faraway for the second time, which deepened my appreciation.